Solar panels can heat water that’s delivered to a storage water tank. Solar water heaters – also called solar domestic hot water systems – can be a cost-effective way to generate hot water at home. They can be used in any climate, and they use free fuel- sunshine. 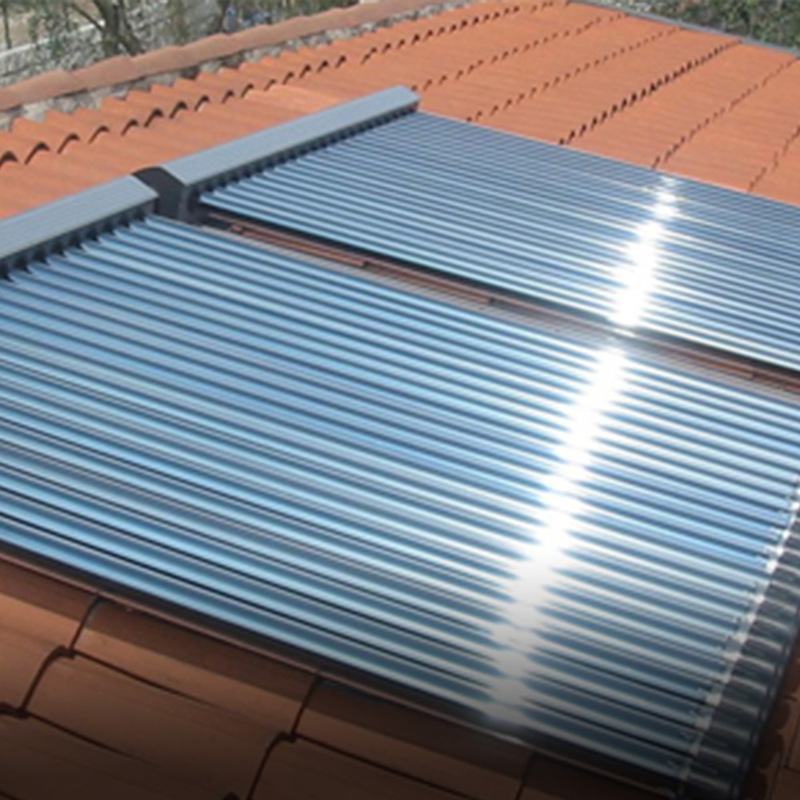 Solar water heating systems include storage tanks and solar collectors. There are two types of solar water heating systems: active, which have circulating pumps and controls, and passive, which don’t. Direct circulation systems – pumps circulate household water through the collectors and into the home. They work well in climates where it rarely freezes. Indirect circulation systems – pumps circulate a non-freezing, heat-transfer fluid through the collectors and a heat exchanger. This heats the water that then flows into the home. They are popular in climates prone to freezing temperatures. Integral collector-storage passive systems – these work best in areas where temperatures rarely fall below freezing. They also work well in households with significant daytime and evening hot-water needs. Thermosyphon systems – water flows through the system when warm water rises as cooler water sinks. The collector must be installed below the storage tank so that warm water will rise into the tank. These systems are reliable, but contractors must pay careful attention to the roof design because of the heavy storage tank. They are usually more expensive than integral collector-storage passive systems. Passive solar water heating systems are typically less expensive than active systems, but they’re usually not as efficient. However, passive systems can be more reliable and may last longer. Flat-plate collector – glazed flat-plate collectors are insulated, weatherproofed boxes that contain a dark absorber plate under one or more glass or plastic (polymer) covers. Unglazed flat-plate collectors have a dark absorber plate, made of metal or polymer, without a cover or enclosure. Integral collector-storage systems – also known as ICS or batch systems, feature one or more black tanks or tubes in an insulated, glazed box. Cold water first passes through the solar collector, which preheats the water. The water then continues on to the conventional backup water heater, providing a reliable source of hot water. They should be installed only in mild-freeze climates because the outdoor pipes could freeze in severe, cold weather. Evacuated-tube solar collectors – they feature parallel rows of transparent glass tubes. Each tube contains a glass outer tube and metal absorber tube attached to a fin. The fin’s coating absorbs solar energy but inhibits radiative heat loss. These collectors are used more frequently for U.S. commercial applications. The proper installation of solar water heaters depends on many factors including solar resource, climate, local building code requirements, and safety issues. Properly maintenance after installation is also important. Passive systems don’t require much maintenance. For active systems, discuss the maintenance requirements with your system provider, and consult the system’s owner’s manual. Plumbing and other conventional water heating components require the same maintenance as conventional systems. Glazing may need to be cleaned in dry climates where rainwater doesn’t provide a natural rinse. Regular maintenance on simple systems can be as infrequent as every 3–5 years, preferably by a solar contractor. Systems with electrical components usually require a replacement part or two after 10 years.